In honor of Escaping From Houdini releasing on Tuesday, I am sharing an aesthetic I created of Hunting Prince Dracula as part of the blog tour for it’s release last year. The Stalking Jack the Ripper series is one of my favorites and I’m so excited the next installment will be out in the world soon! I adore the banter between the main character Audrey Rose and her love interest Thomas so very much. The mysteries are also intriguing and the setting/time period is perfect. Be sure to stop by on Monday for a review and new aesthetic of Escaping From Houdini! Have you read the Stalking Jack the Ripper series? Are you excited for Escaping From Houdini? Beautiful!! 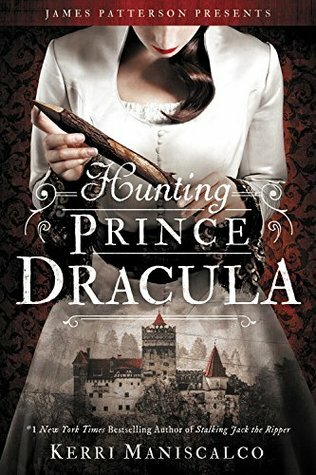 <3 I can't wait to read Hunting Prince Dracula and Escaping from Houdini! Thank you! I hope you enjoy both books as much as I did! Thank you! It’s definitely a favorite series of mine so I hope you enjoy it as much as I do!